Forgiveness and healing – Why is it so hard to forgive? Relaxation and Visualization CD – 3 in 1! Every day we have opportunities to find meaning in whatever is going on in our lives despite whether they are ‘good’ or ‘bad’. Logotherapy encourages and guides people to find this meaning and to do something to make that potential for meaning real. 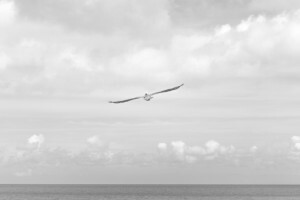 Logotherapy doesn’t ask “why” things happen, but helps and encourages one to find answers to “what now”. Dr. Viktor Frankl (1905-1997) author of Man’s Search for Meaning , a psychiatrist and neurologist who lived in Vienna both before and after WWII has helped millions of people through his teachings to overcome life difficulties. You are invited to explore some of his stories and lessons, and become inspired. Learn to start asking “What now?” and become empowered in the midst of your own challenges. There are two tracks in this lecture totaling 47 minutes. Part two came about by wanting to share even more inspiration. Enjoy! Forgiveness is the key to letting go of the past and allowing healing in. Too often we are caught up in resentments that eventually surface in our bodies as symptoms or diseases. Free yourself from this downward spiral of resentment and watch as miracles start to take place in your life. Forgiveness is not about the other person; forgiveness is about you deciding that you will no longer live your life being hurt by the past. It is freeing for you. Forgiveness allows us to stop suffering. When we forgive we release burdens of anger and resentment that we have been holding inside our bodies and free ourselves to start living in the present. Lets explore the concept of forgiveness. Firstly, what are the effects on our bodies when we carry resentments around with us on a daily basis? Secondly, what are the benefits of forgiveness and finally how do we go about forgiveness? This CD also includes a relaxation exercise with forgiveness affirmations to help you release pent up resentments from your body. 3 – Relaxation and Visualization CD – Looking for more “PEACE and MEANING in your life?” Do you need to relax? 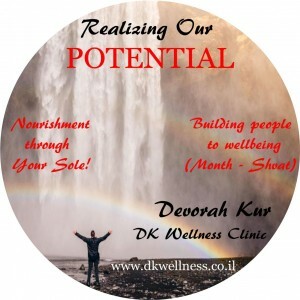 Ways to start feeling empowered: Over the years Devorah Kur (Reflexologist, Logotherapist & Advanced Reiki Practitioner) has treated many infertility patients (those naturally TTC and those at specialist) with a high percentage of pregnancy success. “It is important to empower the patient who discover that when they actively get involved, they notice shifts physiological and emotionally. The fertility journey can be emotionally draining and frustrating, and patients report feeling powerless during waiting phases, desperate, depressed and helpless. Are you looking for ways to relax/de-stress about your infertility, but don’t know how? Are you serious about changing your negative mindset? Are you ready to release any mental blocks you may have about fertility? Have you been battling with lifestyle changes and need encouragement? If you answered yes to any or ALL of these questions then this Fertility Self-help CD is for you. This CD will help shift you into a space where you will feel more in control, positive and hopeful. How do you do this? 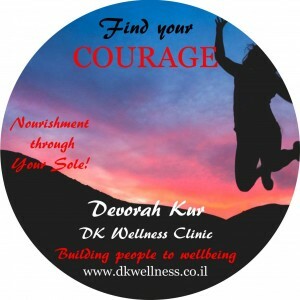 Devorah’s Relaxation and Affirmations with NLP (Neuro-Linguistic Programming) Visualisation techniques have helped numerous patients feel in control of their bodies, and their fertility journey. It helps them to relax, destress and focus on what they want to experience in their lives, not on the fears of what they have experienced. The effects of this kind of positivity on the brain have huge chemical and hormonal benefits to the body. How do you respond when you’re told, “Just relax” or “Don’t be so stressed” You have tried relaxing and not stressing, but it’s with you all the time, consuming you! The Fertility Self-help CD will take you to a space of stress-free body relaxation. It will help switch off the doubtful and negative chatter. Once in this space, your mind is relaxed and open to suggestion. 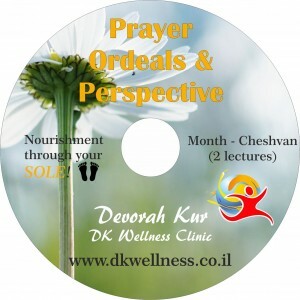 Next Devorah introduces powerful, healing positive affirmations concerning fertility. The benefit shift past thinking and creates new possibilities for the patient. Do you experience headaches, neck or back pain, insomnia, stress, skin problems, panic attacks, fatigue, general pain, digestive issues, sinus problems….and more? Are you ready to understand the messages your body is communicating to you? Then this “MINDBODY” workshop is what you’ve been looking for! enhanced life. I’m inviting you to join me and understand the “MINDBODY” connection and your role in your health and healing. How to take the next steps to see benefits in your life. Are you ready to transform your health, your attitudes, your life? DOWNLOAD NOW to get started on your healing journey! Read what others have said about the workshop!